Organizer Joe Sutliff will provide paper and pens. Sketches and donated art will be sold, and the money donated to TCDS via Chris Sparks. Robin Williams was one of the brightest stars in my universe. With the recent news of Robin Williams having Parkinson's I have had people ask me what Team Cul de Sac could do. Any cartoonist this week that has done a Robin Williams tribute cartoon and would like to donate the original art to Team Cul de Sac, please contact us at teamculdesac@gmail.com and follow us Team Cul de Sac on facebook and check out www.teamculdesac@blogspot.com . We will auction all the art we recieve to the Michael J Fox Foundation in Robin Williams honor. He loved comics and is there a better way to remember Robin? Nobody has made me laugh like Robin did. I will miss him more than I care to admit. Today we found out Parkinson's had decided to attack another comic genius. I hate Parkinson's. I hate how it has destroyed people I am close to. This is why I fight for a cure. After you read the Variety article please watch the video below. Smile and laugh and remember the great Robin Williams. The power of Bill. That is what Stephan Pastis said about Bill Watterson in Comicriffs today. I can't agree more. 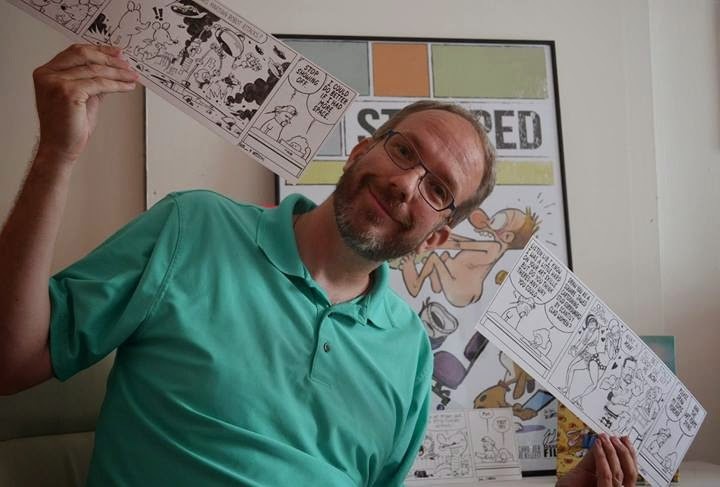 We could spend all day telling you what a difference Bill Watterson has made in our Team Cul de Sac but we won't embarrass him too much. I will say this about the guy. He is wonderfully kind, humble, a great friend and if my cat Gizmo ever escapes the house, I am calling Bill to rescue her. Currently, the 3 Pastis-Watterson strips are going for a combined $37,000 for the Michael J. Fox Foundation. Folks, the auction is almost over! Register through Heritage and start bidding! At the moment the three strips are at $37,000. Plus the MJFF will get the .0975 that Heritage will donate back from the buyers premium to the MJFF. This will bring us at $40,607.50 plus the $14,502.98 we have raised so far this year = 55,110.48 for the year. How much higher will it go? 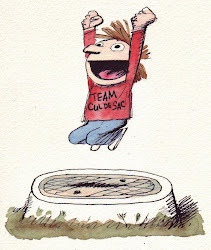 The Watterson / Pastis auction of artwork for Team Cul de Sac is almost at $30,000 combined for the three comic strips. Seven days until the entire auction goes live and the clock is ticking.